This is the most common, popular, famous, blah blah blah whatever u say, question they ask. This went along few days. And one fine day, he started chatting with his friend (I don’t know whether he was a close friend or a newbee). While chatting, that ‘friend’ asked him, “Do you know anything about Islaam?”. I guess that friend should have laughed till his heart because I did it when I heard this. “Well, you are a nice person”. He should have immediately realized that what he read in the book must be a manifest error, because he see his friend would never kill him. He started learning about Islam, from a ‘practicing’ Muslim and guess what HE IS A MUSLIM NOW! WORKING SERIOUSLY TO SPREAD THE MESSAGE TO OTHERS! I said all these things because, don’t judge Islam through some idiotic ill mannered books which try to cover the burning sun. Ask a Muslim directly or go to a masjid near your place to learn about it! Okey lets get back to the actual question. a) Is Ka’ba an idol?? Lemme give you the difference between the ka’ba and an idol. 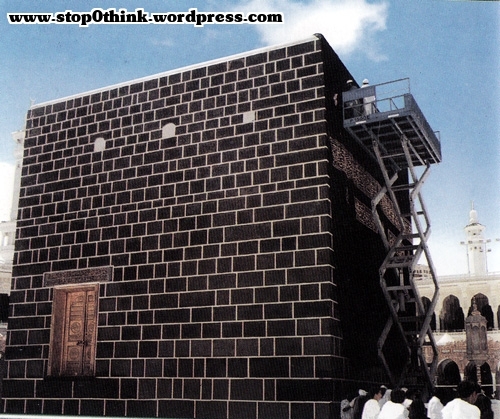 Ka’ba is a building. It stands upon a 25 cm (10 in) base, which projects outwards about 35 cm (14 in). It is approximately 13.1 m (43 ft) high, with sides measuring 11.03 m (36.2 ft) by 12.86 m (42.2 ft). 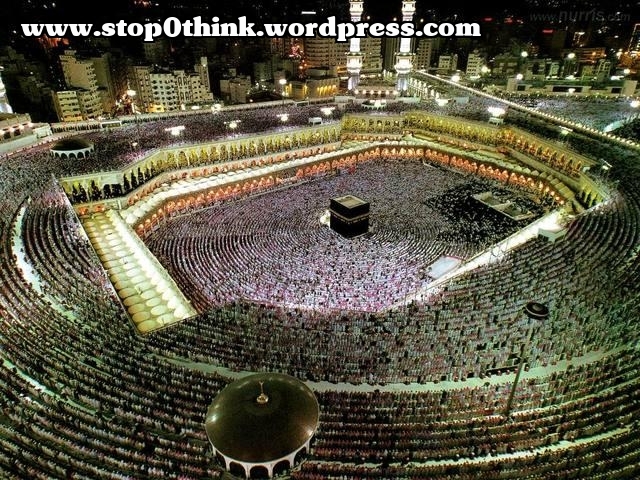 Ka’ba is the first masjid build on the face of earth, to worship God. People prayed inside the ka’ba. Are you ready to pray inside your idol? That’s impossible isn’t it? 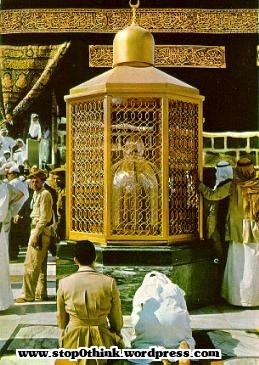 Bilal (radhi allahu anhu) the mu’adhin (caller for prayer) of the Prophet’s time used to STAND ON THE TOP OF THE KA’BA, to call people for prayer. I BET ANYONE CAN DO THE SAME TO YOUR IDOL??? YOU STAND ON IT’S TOP? YOU DARE PUT YOUR LEG ON IT? We did, BECAUSE IT’S NOT OUR GOD!!! b) What about the black stone, you kiss it? Okey, you say it’s an idol, just because we kiss it? Then I will quote the statement of Caliph Umar bin AlKhattaab (radhi allahu anhu), the one to whom Shaitaan feared. 1) The Black Stone in itself doesn’t possess any power. It can’t benefit it can’t harm. 3) We would never touch the stone except that Prophet (Peace be upon him) had done it. Personally I am saying, when I go to Makkah I don’t touch the stone. It’s so crowd there. AND IT’S NOTHING WRONG IF YOU DONT TOUCH IT AND KISS IT! YOU KISS IT, YOU DON’T KISS IT..IT’S ALL THE SAME!! BECAUSE THE BLACK STONE IS NOT OUR GOD!!! c) Why do you pray in a fixed direction? Since all your claims went futile, you are picking up on directions now?! I don’t see how praying towards ka’ba becomes an idol for you? NOTE: We pray TOWARDS Ka’ba and not TO ka’ba. (I guess you will not say the same to your idol, because you clearly know YOU ARE PRAYING TO THAT IDOL). Praying towards a fixed direction, in rows and rows is an excellent way of organizing us. Lots of people converted to Islaam, just after they saw the prayer of Muslims in person. DO YOU KNOW THAT? They wonder what an excellent system of prayer is this!!! You all are equal in front of your Lord, no matter white or black, rich or poor! Actually, first God ordered us to pray towards Masjidul Aqsa in Jerusalem, and then the direction order came to Ka’ba. If we worshiped direction as a God, we wouldn’t be changing directions here n there. But we simply do it BECAUSE IT’S THE ORDER OF GOD! Hey, even if there is no ka’ba WE WOULD STILL BE PRAYING TO OUR LORD in an uniform way. ARE YOU READY TO WORSHIP Y(OUR) GOD, WITHOUT AN IDOL??? 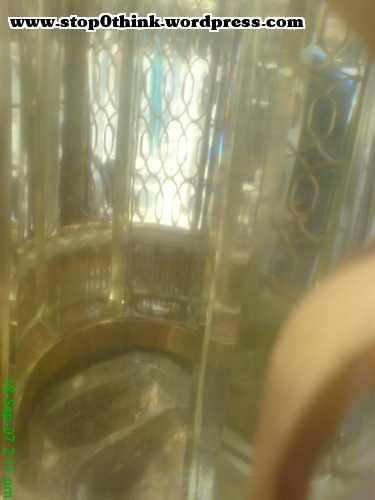 Its not shiva lingam or any other idol, it’s called ‘Makaam AlIbraahim’ meaning the place of Prophet Abraham (Peace be upon him). Look at the close picture of that. I think I don’t need to explain anymore, this picture speaks for itself! Just because you see something ovel shaped, THAT BECOMES YOUR GOD? What can I say about your foolishness? Its a gold coated glass my dear. I know you are biting your tongue! ISLAAM IS THE RELIGION WHICH SAYS, STOP IDOLATRY AND COME TO WORSHIP OF ONE TRUE GOD! Till date, there is not even a single idol inside the entire city of Makkah and Madinah. BETTER LUCK NEXT TIME! 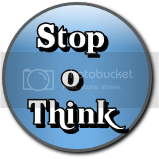 Next thinking –> Is God He or She or It?